Next to work is a bakery called Ray and Dicks and they make a great bread or sheet pizza. The sauce is heavy tomato paste base and when slightly warmed it melts in your mouth. My wife does not care for it likes the Portland style sheet pizza better. I will buy one for work every once in a while freeze in single servings of the left overs to reheat and top with whatever is left over or in the frig that hits me when I open the door. 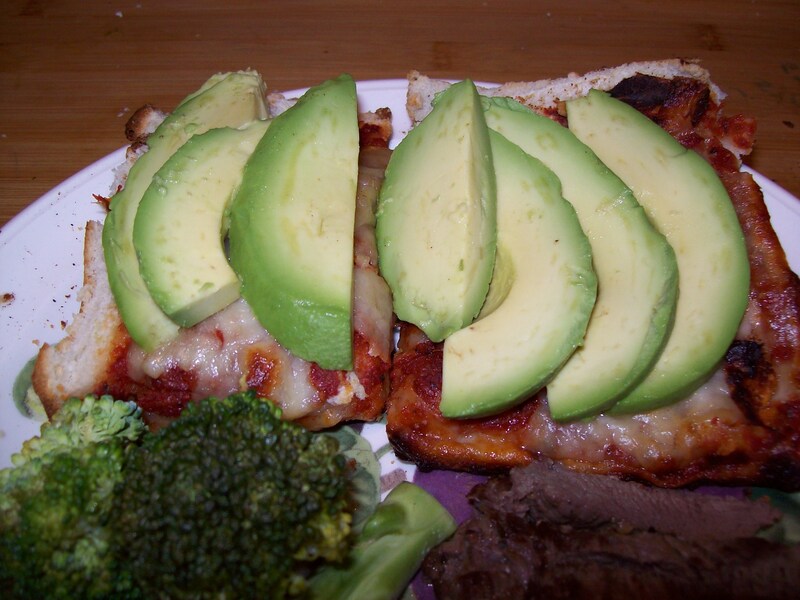 This week it was in celebration of avocado season. So this is simple reheat top and eat! 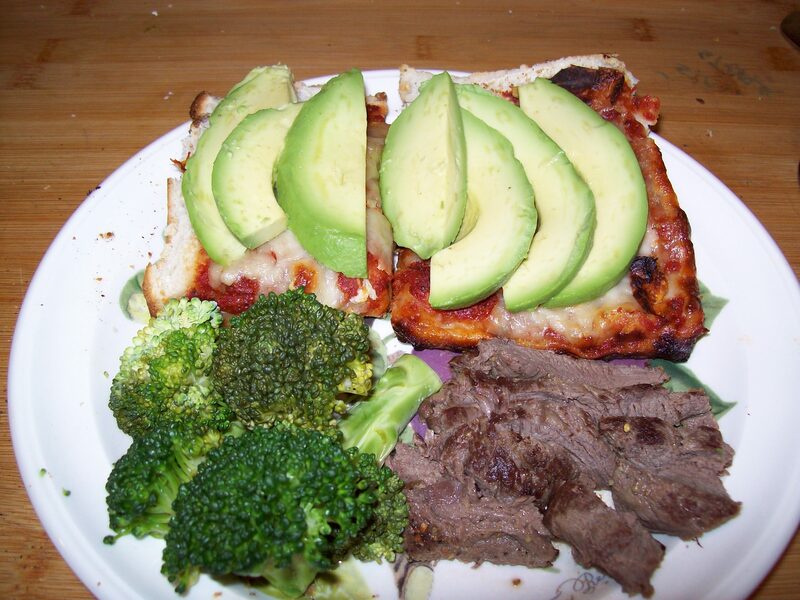 This entry was posted in Main Course, Pizza and tagged Avocado, bread, Business, Cook, Fruit and Vegetable, Home, Olive oil, Pizza, Salad. Bookmark the permalink.